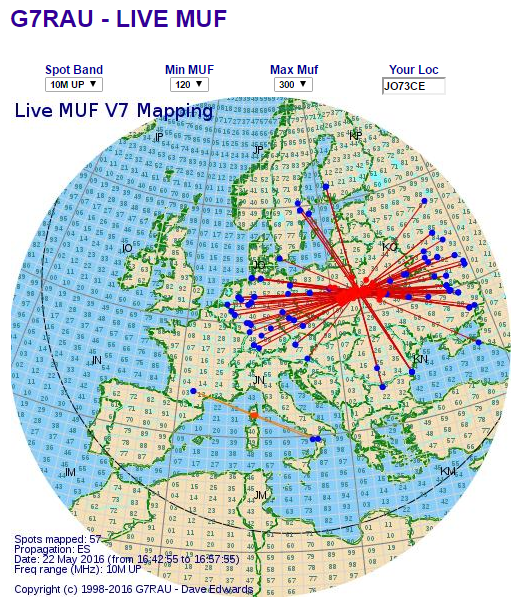 144 MHz opened at 16:28z but it only lasted for about 1.5 minutes, just enough to complete a CW QSO with US6IEW. The band was more consistent further west, I was not in a perfect position in JO73 geometry-wise. Five minutes later US6IEW popped out of the noise again answering my CQ call, this time in SSB. Band closed again after 2 minutes or so. It then took another 10 minutes to open again, this time for about 8 minutes.